CRITICALLY-ACCLAIMED chef Diego Gallegos has started the new season with a bright blue twist. 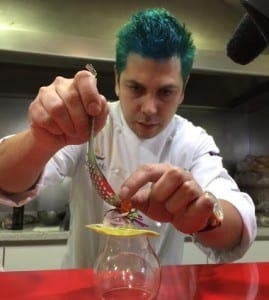 Gallegos – crowned ‘Outstanding Chef’ at Madrid Fusion 2015 – was forced to dye his hair blue thanks to a bet with a friend that he wouldn’t win the honour. “It’s a good job I didn’t bet money! 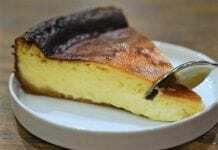 I’ll dye it, but only for a week,” said the Brazil-born chef. 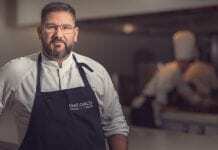 Gallegos launched his restaurant Sollo in Benalmadena just over a year ago, but has been known for his fishy experiments for years. Lauded by both Michelin and Repsol guides, one of his favourite subjects is the sturgeon, with his innovations including a type of black pudding made with sturgeon blood. 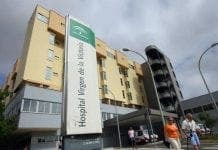 The restaurant is moving to La Reserva del Higueron on March 23, but the service will remain extremely exclusive. Gallegos will still only open for dinner – with just 14 covers per night – and his extensive menu will still be set at €50.